This level has medium difficulty. 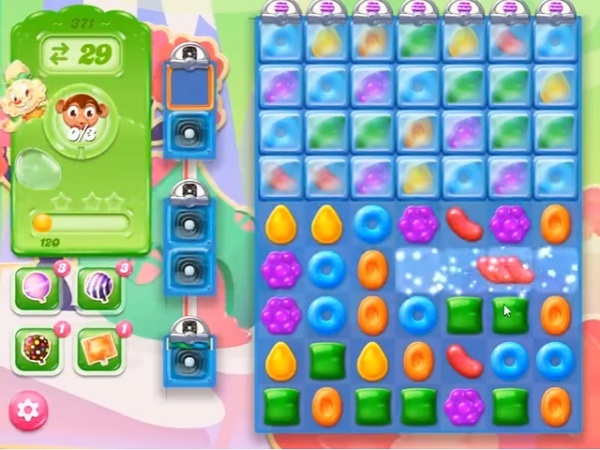 For this level try to play near to blockers to break them and as you get Monklings. Then play near to them to move them and take them out from the board. My screen has most of thebottom half as black boxes. Yours doesn’t. Also I only have 27 moves, not 30. Mine is what you are explaining. The video not having the black blocks makes it look a lot easier. This game is not fun any longer and I refuse to buy ‘helps’ or boosters. On Candy Crush I collected a bunch of boosters (bombs,etc) and used them all to try to win level 1650. No luck.